36 picture cards with rhymes to clap. 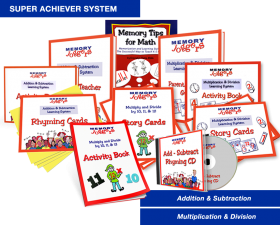 Fun and easy way for children to memorize addition & subtraction facts from 2 + 2 through 9 + 9. 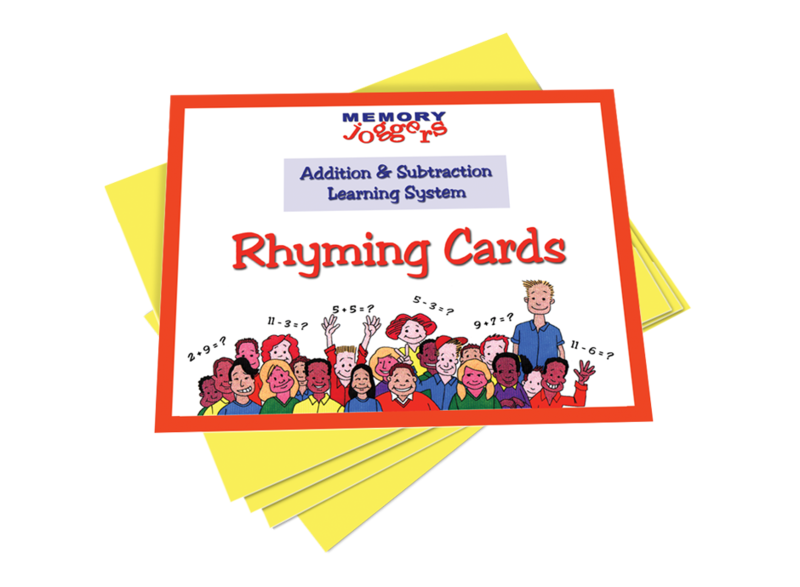 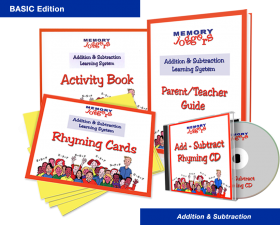 Note: This does NOT include our popular Add – Subtract Rhyming CD or the 67-page Addition & Subtraction Activity Book, which helps children remember their facts faster. 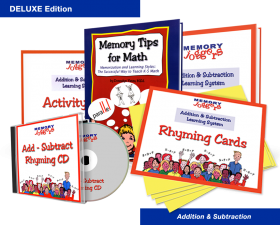 Buy the complete Memory Joggers Addition & Subtraction Learning System, either the Basic Edition or Deluxe Edition, for faster results and more value for your money!